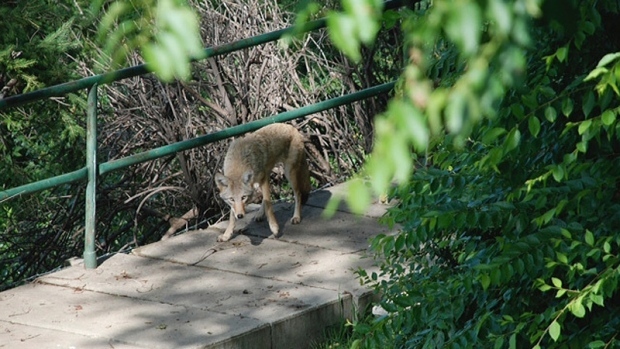 A new study has found that many coyotes in Edmonton are carrying a parasite that can be transmitted to pets and to humans. 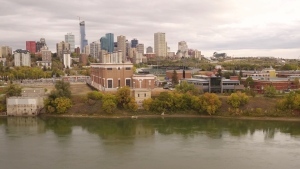 One of the authors of the study said the most recent transmission of echinococcus multilocularis was in 2013 in Edmonton. “She was cultivating vegetables in her own garden and the vegetable garden was open to foxes and coyotes and her own dogs,” Alessandro Massolo explained. According to the World Health Organization (WHO) human echinococcosis is a parasitic disease caused by tapeworms. People become infected through ingesting parasite eggs in food, water or soil or through direct contact with animal hosts. Massolo said although the parasite was present in up to 35 per cent of animals’ transmission to humans was rare. Coyotes get the parasite from eating infected rodents. It then grows into an adult worm and lays eggs, which can later be found in the animals’ feces. 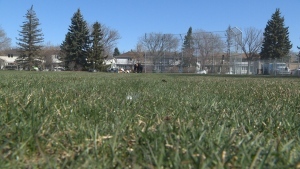 Massolo said the parasite is not harmful to dogs or coyotes. However, if the parasite infects a domestic pet like a dog, humans may ingest the eggs and develop alveolar echinococosis (AE). “The dog by licking himself may spread it a little bit all over or just by sitting on the couch or the carpet on the rug or in your bed they may spread a little bit of these invisible eggs and you may ingest them by accident,” he said. The WHO website states that AE is characterized by an asymptomatic incubation period of five to 15 years, which involved a slow development of a tumour-like lesion usually located in the liver. It also indicated that treatment may require surgery and prolonged drug therapy. Researchers said the study was intended to raise awareness and stressed that human transmission was rare. De-worming pets, using proper hand washing and food handling guidelines are a few ways to protect yourself, experts said.